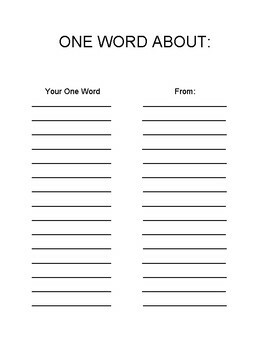 Send your students off for the summer with a sweet word list about them created by their classmates! As students rotate to each classmates' sheet, they cannot repeat a word that is already written on there. By the end, students will have a lot of kind, uplifting, positive words about themselves.